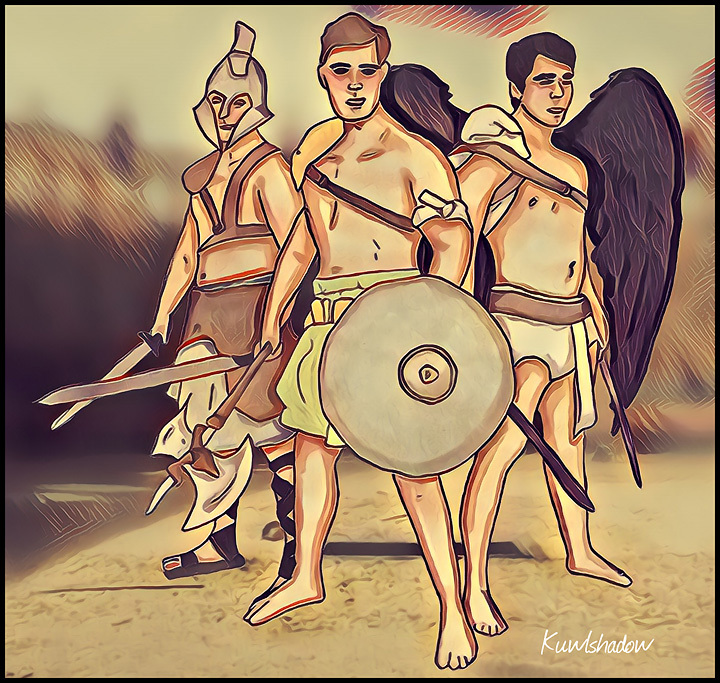 Summary: Gladiators, Dean Winchester, Jimmy Novak and the angel, Castiel; about to battle for their lives in the Coliseum. That is epic and awesome, I love it! Boys as gladiators ... phew! !